Named for a mythical hero like its evolutionary predecessors, Aurora Flight Science’s Odysseus is a huge, but ephemeral thing. A wingspan larger than the largest 747’s and a weight no greater than a Smart Car’s (around 1,500 pounds) means this airplane will be slow and frail. 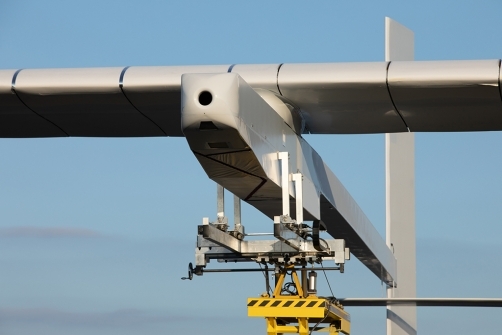 A carbon fiber tube structure covered by lightweight Tedlar™ resembles the construction of Solar Impulse, but without the bulk of carrying a pilot. Since its antecedent was the world record holding distance champion in human-powered aircraft, the manner of flight is no surprise. Its intended altitude is. Odysseus takes it to the stratosphere. It’s the latest revelation in a thirty-year exploration of low-powered, extreme-endurance aircraft. 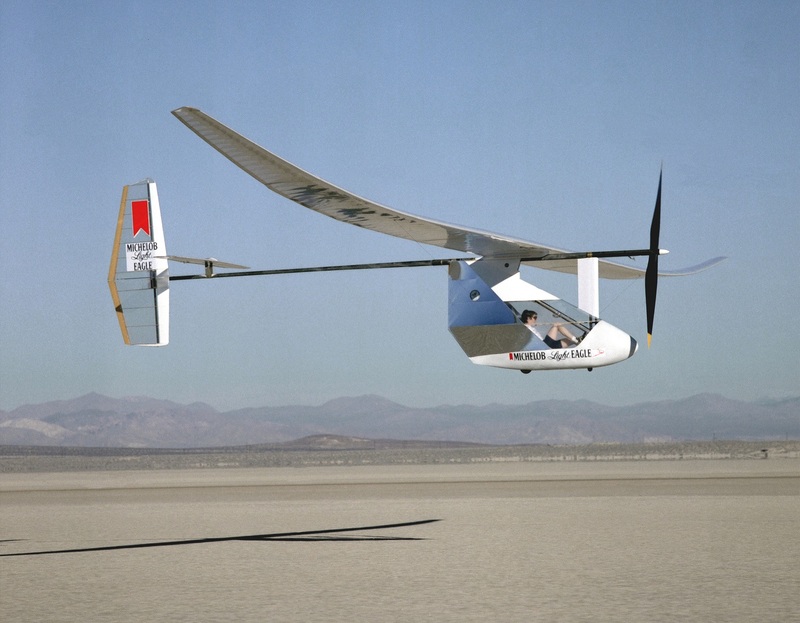 Before he founded Aurora, John Langford led a group of Massachusetts Institute of Technology (MIT) students in a four-year program that developed three human-powered craft – the Daedalus series. In its final iteration, Daedalus set the still-extant world record for human-powered flight distance, 72 miles emulating the flight of its mythical namesake between Santorini and Sicily. The airplane suffered structural failure just yards from its destination, dumping its pilot into the Mediterranean. Aurora Flight Sciences took out the pilot and replaced him with an array of electronics enabling the Solar Eagle to fly extended reconnaissance missions. In the quest to make the missions perpetual, Aurora continued to expand its aerodynamic and solar-powered fleet. The latest and larger Odysseus is another milestone in persistence. “1. Odysseus can persistently and autonomously remain on station. This enables communication and data gathering over a specific location. No other solar aircraft offers this capability. “2. Odysseus has a greater year-round global operating zone than any other vehicle in its class. “3. Odysseus can carry a larger payload than any other aircraft in development or production in its class. This enables more missions and better resulting data quality from each mission. “4. Odysseus can be deployed at a fraction of the cost of a satellite and can spend dramatically more time aloft than a conventional UAV. It can receive payload and hardware options and can be quickly customized, re-tasked, and re-located as missions evolve”. Aurora Flight Sciences sees its High Altitude Long Endurance (HALE) machine as providing capabilities for climate and weather researchers, terrestrial observation for agriculture and persistent, on-station operations for communications, connectivity, and intelligence. Low costs of operation compared to satellites will make these applications more affordable. Aurora hopes for first flight in the spring of 2019. Its 243 foot wingspan and light weight will take careful ground handling, with launches by pickup truck. Almost unlimited endurance, with solar cells charging batteries all day and a feather-like descent during the night, will enable long-range, long-endurance missions. First flights will involve performing air quality studies over the Midwestern United States.